The Ryan O'Reilly saga is over. 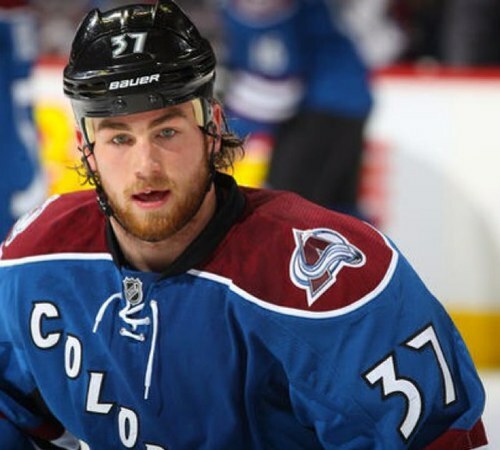 After what turned out to be a humiliating negotiation period (for both sides, in my opinion), a ridiculous impasse, and finally a contentious offer sheet by the Calgary Flames, Mr. O'Reilly is once again a member of the Avalanche. And oh baby, look at that pretty check he's set to receive. It's a two-year deal, according to TSN. O'Reilly will earn $1 million in salary this year with a $2.5 million signing bonus. In year two, he'll earn a cool $6.5 million. It's $10 million total, averaging out to a $5 million cap hit. That means, in terms of cap hit, O'Reilly is on par with the likes of Ryan Kesler, Mike Ribeiro, Patrice Bergeron James Neal, Bobby Ryan, Evander Kane, Jeff Carter, and Marian Hossa. When it comes to that absurd $6.5 million that O'Reilly will make next season, that means that the second/third line center will be paid more than Cam Ward, Thomas Vanek, Ryan Miller, Jeff Carter, Ryan Getzlaf, Henrik and Daniel Sedin, and about 700 or so other players - not to mention the billions in the world who don't play a sport. On the Avalanche, O'Reilly's cap hit will be slightly more than Matt Duchene's and Gabriel Landeskog's...combined. His salary will be more than double that of Semyon Varlamov's. O'Reilly also doubles up on defensemen Erik Johnson and Jan Hejda. O'Reilly gets all of this for his stupendous defensive play, as well as for being the leading scorer on a team that wasn't very good last season. The 22-year-old was able to sign this deal by coming out of an extended offseason, in which Matt Duchene took a modest bridge deal (in order to prove he had the necessary resume for a bigger, longer-term deal), and holding out for a ridiculous, inflated contract. When the Avalanche refused to budge, O'Reilly signed an offer sheet with a division rival so that the team's hand would be forced. Has Paul Stastny taught you nothing, sir? With O’Reilly set to essentially make at least $6.5 million after next season and probably the following two (because he still has this season and three more to go before being eligible for UFA), do you think Duchene and Landeskog are going to want any less? Stastny could become UFA after next season, how much difference in salary will he accept by then from the $6.6 million he’s been making for a few years now and will continue to make next year? What the Flames did today, essentially, was potentially blow out the Avs’ salary structure in the next couple years. The Avs let the Flames set the market for O’Reilly’s value – and they had to swallow their pride and accept it because gambling that they’d get a lottery pick with the Flames’ first-round pick this year was too poor a prospect. How awful would it have been for this team if they’d not only let O’Reilly go to Calgary, but then gotten a worse draft pick maybe thanks to his helping them out the rest of the year in the standings? It would have been a humiliating blow. So the Avs have essentially shot themselves in the foot. They're going to have to pony up for Landeskog and Duchene and Varlamov, and they're not going to be able to significantly improve themselves through free agency. They have to wait a year to trade O'Reilly, by which time his trade value may be a fraction of what it was yesterday. O'Reilly basically went from being held hostage to becoming the hostage taker. The Avalanche ship now sails at his command. If he plays well (and I mean EXTRAORDINARILY well), then perhaps some of this mess can be forgiven - at least long enough for the Avalanche to get rid of him. But if O'Reilly turns into another Stastny - a good player who is making way too much for what he brings on a night-in, night-out basis, then the Avs are going to sink under the weight of this deal. O'Reilly is going to sink. A year ago, I was waiting to buy a Ryan O'Reilly jersey long enough so that I could get a "C" put on the front. I'll root for his success on the ice as long as he's an Av, but part of me wants this to be the last big contract he ever gets in the NHL. At the end of the day, O'Reilly got the money. But at 22, was it worth the sacrifice of being completely beloved by your fan base? Part of me believes that hockey players aren't purely in it for the money. I think a lot of hockey fans like to believe that. Some of the players are for sure. But others, I think, just want to play. It doesn't seem that O'Reilly falls into that latter category, anymore.